Interislander travels the Cook Strait between the North and South Islands of New Zealand and is one of the most spectacular cruises in the world. The 92 km journey between Wellington and Picton is one of New Zealand's most iconic tourist experiences. On either side of your Interislander journey are the city of Wellington and the region of Marlborough. Wellington is the cultural centre and political capital of New Zealand. Cradled within a natural harbour, Wellington offers travellers an abundance of tourist experiences, whether just passing through, or enjoying an extended stay. Picton is the point of arrival and departure in the Marlborough Sounds for Interislander travellers. Picton is a gateway to the Sounds, its wine growing areas and, further south, to Christchurch and beyond. Interislander operates three ships, carrying both passengers and their vehicles: Aratere, Kaitaki and our latest edition to the fleet Kaiarahi. All offer the freedom and ease of exploring New Zealand by road. Taking a vehicle on an Interislander ferry is as simple as parking - just drive on and drive off. Nor do passengers with vehicles have any luggage restrictions. 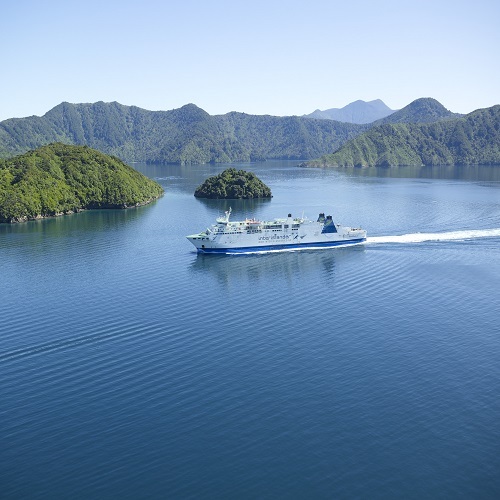 Offering up to 11 sailings a day, Interislander passengers also have the convenience of a wide choice of travel times. During your Interislander journey, take a stroll on the decks, enjoy a meal, a drink, or even catch the latest movie release. Or, of course, simply be awed by the breathtaking views.